Owners overwhelmingly backed executive pay and directors at the bank’s at times ill-tempered annual meeting. It’s Tim Sloan’s first good news after a slew of regulatory hits. He owes Chair Betsy Duke some thanks. His task of transforming the firm’s culture may not be so easy. Wells Fargo & Company CEO and President Tim Sloan testifies before the Senate Banking Committee on Capitol Hill in Washington, U.S., October 3, 2017. 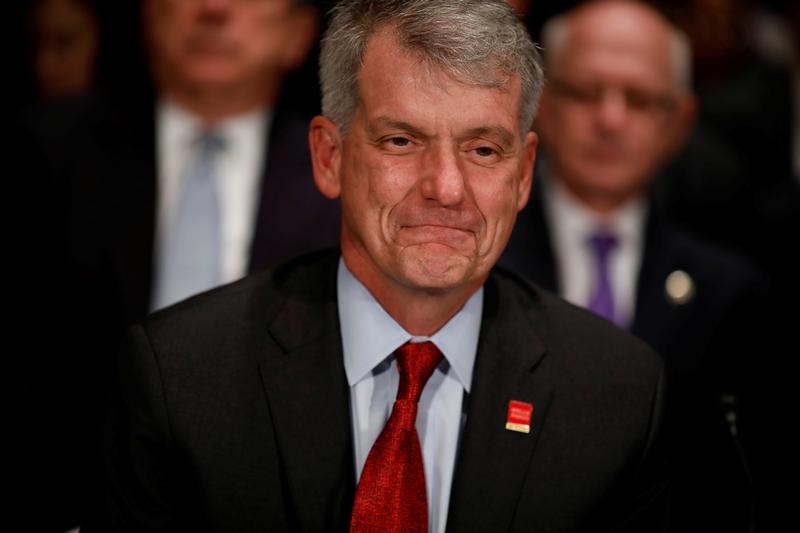 Wells Fargo shareholders approved the bank’s executive-compensation plan at the bank’s annual meeting on April 24, with 92.4 percent voting in favor. All directors received the backing of at least 89 percent of investors. Shareholders did not back a proposal by the New York State Common Retirement fund requesting the bank to explain whether and how it has identified employees or positions “eligible to receive incentive-based compensation that is tied to metrics that could have the ability to expose Wells Fargo to possible material losses.” That measure received 21.7 percent of the vote. A proposal from an individual investor with 60 shares to “reform executive compensation policy with social responsibility” garnered less than 7 percent of the vote.